Our own Energy Doctor, Stephen Kane, has just released a new improved version of the Energy Egg Environmental Stress Eliminator that will get your body, mind and spirit back in tune in a flash! This page is an update of benefits and techniques for owners of the incredible Energy Egg. The Energy Egg is a device that shields our human organism from Environmental Stress of various kinds. These include EMF and other natural or artificial stress-generating energies that have been shown to attack our personal energy fields. If you do not have an Energy Egg yet, click here to order one, or click here to learn more. If you have an Energy Egg Transmitter – the clear quartz donut – touch it flat to the topmost part of your head for about 5 seconds, making sure your finger isn't over the Transmitter’s central hole. This connects the Transmitter to three channels of energy that run between the top and bottom of your energy field. This connection enables the Energy Egg’s protection to extend to your whole energy body all the time, no matter how far away you are from the Transmitter. Your Energy Egg Transmitter is attuned to you permanently – unless it’s touched to the top of someone else’s head. The Transmitter only transmits the Energy Egg signal. Placing anything else on it has no effect. The Energy Egg Transmitter can be connected to a baby, animal or pet in exactly the same way. If your body holds a lot of environmental stress, you may at first feel unusually tired or otherwise unwell when your Energy Egg starts eliminating this stress. If this is the case, leave your Energy Egg off its Transmitter at night and keep it with you for only a few hours during the day. Slowly increasing your use of the Energy Egg gradually releases more accumulated stress without undue strain. The Energy Egg’s functions are developing all the time. You can stay up-todate by joining the Energy Awareness Forum: (membership free). The Energy Egg should be kept with you during the day (in a pocket or small pouch within 12cm of your body) and on its transmitter at night (if you have one) whilst sleeping. We have additional transmitters if you’d like to keep one at work and one at home, to save you carrying it around. The following techniques can be used whenever you have your Energy Egg with you. If you suddenly notice you’re being adversely affected by someone’s energy, hold your Energy Egg in your hand for 10 seconds or longer while looking at them or talking with them. Then put your Energy Egg back in your pocket. You can also use this re-tuning technique pro-actively to prevent other people’s energies from affecting you in the first place. 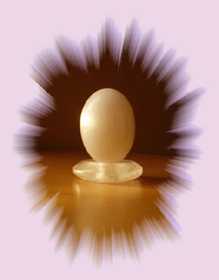 Simply hold your Energy Egg for 10 seconds or more when first meeting a client or any other person. You can also make sure you aren’t being affected by any object or piece of equipment – a picture, mirror, computer, mobile phone, etc. – by looking at that potential source of stress while performing three weaving breaths with your Energy Egg: inhale (nose) and exhale (mouth) on your Energy Egg. In fact, we recommend you use the weaving breaths once with, at least, your mobile phone, computer screen, computer box, mouse, keyboard, trackpad, glasses and television. This may not always be necessary, but it ensures that the Energy Egg adjusts its signal to exactly match the stress waveforms emitted by your particular brands of equipment with respect to any unusual personal energetic vulnerability you may happen to have to them. If you don’t know where a felt stress is coming from, simply hold your Energy Egg and perform 12 weaving breaths with your eyes closed. This procedure causes your Energy Egg to immediately start transmitting ki resonances for reducing any reactions you are currently experiencing. We recommend you do this procedure once in each room of your home or office. Any reaction you experience (physical or psychological) always reflects a hole in your energy field – a chakra fracture. The re-tuning techniques instruct your Energy Egg to energetically ‘band-aid’ the hole. the current power of the Energy Egg – which is constantly increasing, even after an Energy Egg has been purchased. A way to accelerate the development of your Energy Egg’s ki-capacity is to practice the Returning Life – a ki-cultivation exercise that is now available on DVD – with your Energy Egg in your pocket. Some people report being able to rapidly stop allergic reactions to foods, electrical appliances, medications, other peoples’ energies, colours, travel sickness, etc. with Three Taps and Three Blows technique.. This means, to prevent a reaction, look at the allergen while tapping your Energy Egg on the centre of your brow three times, then do three weaving breaths on your Energy Egg while looking at your Energy Egg. If you are already reacting to something but don’t know what it is, do the same procedure but with your eyes closed while tapping. Please bear in mind that this technique may not work for everyone. Do not try it with any substance you know or believe to be dangerous or harmful to you. Some people have reported significant benefits from holding the Energy Egg against an area of their body (skin contact for 30 to 60 minutes or more) where they are experiencing a problem – for example, a sore shoulder, nausea due to travel sickness, varicose veins, etc. It may be worth trying this wherever you are experiencing a particular problem since it increases the focus of your Energy Egg on the symptomatic area. While working or relaxing, have your Energy Egg on a mat or carpet and roll it under your bare foot, concentrating on sore areas. Repeat with your other foot. This releases more accumulated stresses from your energy body. During an Energy Solutions personal consultation, you will receive a personal energy contact point tapping sequence for steadily reducing the stresses and other peoples energies (aka. foreign energies) – your stress burden – that have accumulated in your energy body over the years. However, a standard tapping point technique for everyone is to tap the top of your head three times then the centre of your forehead with your eyes closed, then three weaving breaths on your Energy Egg while looking at it, every morning and evening. Note. If you have taken the Energy Awareness Training, this technique is more powerful when it’s performed facing your heart direction. 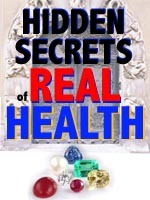 Many people report reductions of chronic health symptoms of many kinds. However, please bear in mind that the Energy Egg is an environmental stress elimination instrument. This means if you suffer a symptom that’s being caused by environmental stress, you may experience relief from this symptom as a positive side-effect. If you can feel the effects of some environmental stresses, you are likely to rapidly experience improvements soon after acquiring the Energy Egg. But if you aren’t particularly sensitive to environmental stresses, you may not feel anything at all. Unlike other products, the Energy Egg is not an artificial energy stimulation device – which invariably damages the energy body. You don’t have to feel different for the Energy Egg to be working – it does its job regardless of how you feel.